Inside the box and tucked snugly inside brown, environmentally safe, recycled cardboard holders are some pamphlets, software, and the actual unit itself. 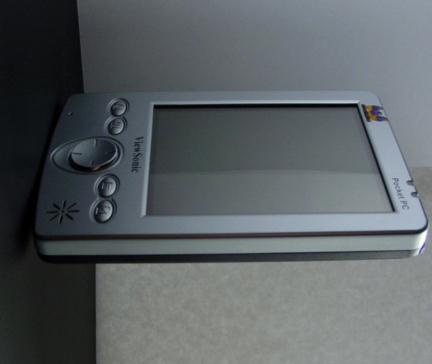 Featuring a basic chrome finish and bearing the words "Pocket PC" in the top right hand corner, the Viewsonic V37�s no-nonsense design is simple and ergonomic. 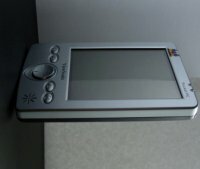 Four shortcut buttons, a four way directional pad, and the V37�s speaker are located at the bottom of the handheld. They each serve default functions, but can be programmed to the user�s preference. 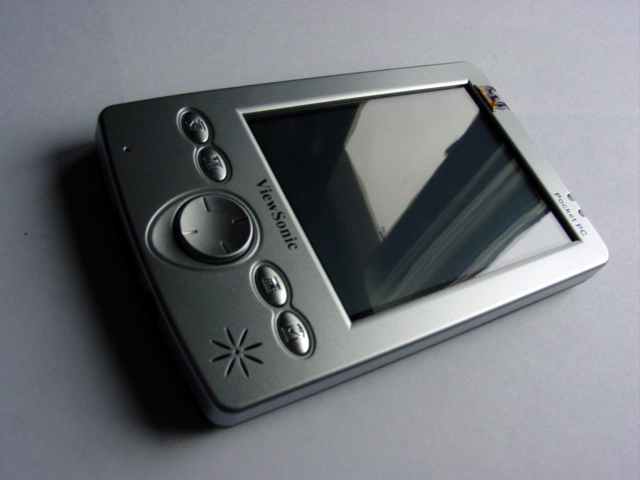 It bears a relatively slim profile at 13.2 millimeters thick, and has a very good viewable to unit area ratio. There is a handy little jog dial, in addition to an equally useful audio record button positioned decisively on the left side of the unit. The power button, stylus retrieval, SDIO card slot, and IrDA (Infrared Data Association) module are all located on the top edge of the V37. Also included is a USB cradle and power adapter. One of the best features of the V37 Pocket PC kit is the cradle/adapter integration. 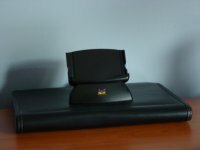 Not only is the cradle stylish and well-built (the raised back nicely supports the V37 and prevents unnecessary falls), but can be combined with the power adapter to simultaneously charge and sync your handheld. Just insert the power cord into the slot on the USB head, and you never have to worry about charging your V37 away from your cradle. Of course, you may detach this plug for charging on the run.